Smudging trio. 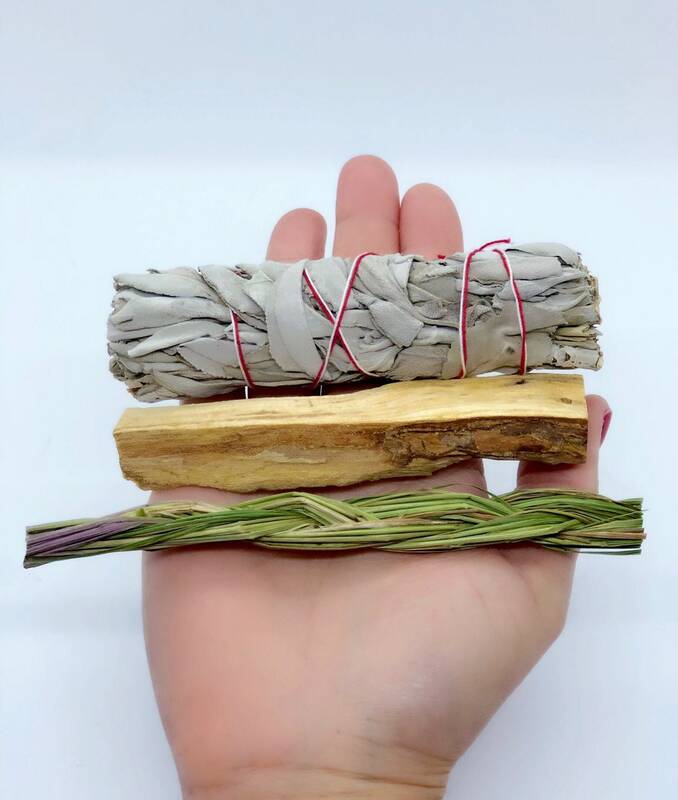 You will receive one 4” organic white sage, 1 stick of Palo Santo, and 1 mini sweetgrass braid. This is a great starter set for anyone who wants to cleanse the energy in their space. Makes a great gift to someone or for yourself! Items are great. Shipped and arrived as expected. Fantastic!! Could not be happier with my purchases. A huge thank you for the gifted Palo Santo, many blessing to you !!!! Awesome item! Fast shipping. Thank you!